I think we can all agree that God is under attack in our society these days, and one of the biggest weapons used against him by the militant atheists is that to have faith in a “Higher Power” goes against rational scientific evidence. “Science proves that God is a myth!” we hear over and over, when in fact the opposite is true. Faith in Yahweh is not a subjective, blind, “leap into the abyss hoping someone is there to catch you,” emotional experience. True faith both can and must be reasonable and intellectual. Because of this, the existence of God is provable to any fair-minded individual. Take, for example, the undeniable existence of the universe. What is the explanation of its existence? Is it eternal? Not according to modern science, which is attempting to give an age to the universe…and thus admitting by default that it has an origin and is therefore not eternal. Did it create itself from nothing? Not according to modern science, which admits there is no known natural process in which matter could fashion itself from nothing. Since the universe is not eternal and did not create itself, the only logical explanation is that it was created by something which existed before it and is superior to it…God (Rom. 1:20; cf. Heb. 3:4). If they did not really exist, why believe the Bible? Sadly, this was not the first time (nor would it be the last) in which I had heard of a supposed Christian denying the authenticity of Genesis in favor of upholding the erroneous, unproven, and inconsistent man-made theories of evolution. About ten years ago, I was involved from time to time in a college ministry. On one occasion, the college minister had invited a brother in Christ who taught at a university to speak to these college students about how the six days in which Genesis says the world was created in reality were each symbolic of millions of years. When asked by me and a few others why he believed this, he said that due to the “proven fact” that this world is millions and millions of years old, we should not take these six days in Genesis chapter one literally. According to him and many others, the six days are obviously representative of much longer periods of time, which would then back up what science has supposedly proven to be true. However, much scientific, archeological, and historical evidence exists which contradicts these notions. My purpose in writing this article is not to directly present such evidence; therefore, I encourage the reader to examine the material published by Apologetics Press to which I have already provided links in this article. I encourage the readers of this blog who do not believe in Christianity and/or are atheists to examine the material at Apologetics Press with an open and honest heart. To my Christian readers, I commend you to them in order for you to learn more and thus be “prepared to make a defense to anyone who asks you for a reason for the hope that is in you” (1 Pet. 3:15). To further help us obey this scriptural command, this article will consider the biblical evidence which supports the historicity of Genesis so that we can see how logical consistency would force those professed followers of Christ who deny Genesis’ authenticity or try to change its message in favor of man’s evolutionary theories to also deny Jesus Christ and his teachings. “When I was a child, I spoke like a child, I thought like a child, I reasoned like a child…” ( 1 Cor. 13:11). I went to church because my parents wanted me to, and I believed in Jesus because they believed in Jesus. That needed to change as the years passed, because when “I became a man, I gave up childish ways” (1 Cor. 13:11). My faith needed to be my own, and it needed to have concrete, thought out, scriptural, logical, and consistent reasons (Rom. 10:17; 1 Thess. 5:21). Therefore, I as an adult believe that Jesus Christ is the Son of God, my Savior, and my Lord because God raised him from the dead (Rom. 1:3-4; 1 Cor. 15:12-19) after he lived a sinless life (1 Pet. 2:22; Heb. 4:15) in order to die on the cross as the saving propitiation for our sins (1 John 2:2; Rom. 5:6-11). 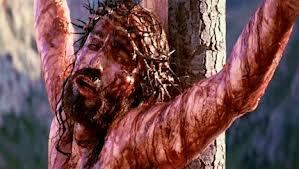 Jesus had to be sinless in order to truly be a sacrifice on our behalf to appease the wrath of God over our sins. There are additional reasons for my faith in Jesus, but for the purpose of this article I want us to focus on the fact that our faith in Christ is meaningless if he wasn’t raised from the dead…after having died on that cross to save us from our sins…after having lived a sinless life. If Jesus hadn’t lived a sinless life, then his death on the cross would not have been the propitiation for our sins. 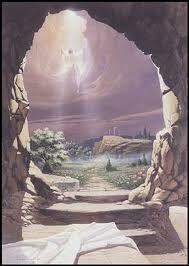 Therefore, God would not have raised him from the dead to prove to us that he is our Savior. The key to this which I want us to focus on is the necessity of Jesus having lived a sinless life. Specifically, I want us to focus on the fact that no deceit was found in his mouth (1 Pet. 2:22). Think about that for a minute. If Christ had been dishonest in any way, he could not be the propitiation for our sins and God would not have resurrected him. 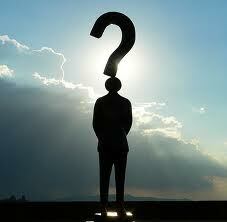 Therefore, he could not be our Savior, which means that our faith, the Christian religion, is meaningless. 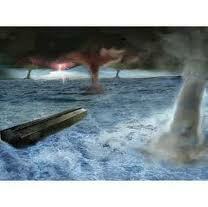 If the flood is a myth, then Jesus lied. 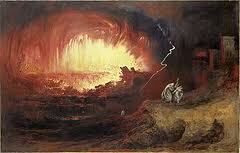 If the destruction of Sodom is a myth, then why believe any of the Bible? If the first three chapters of the Bible are myth, the entire Bible would have to be a myth. While teaching about divorce, our Lord quoted Genesis twice (1:27; 2:24), specifically referring to the marriage of Adam and Eve (Matt. 19:4-5; Mark 10:6-8). 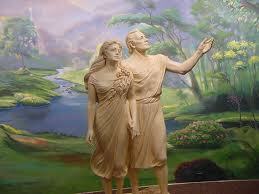 By talking about Adam and Eve as if they were historical characters, Jesus himself confirmed their historicity. The Holy Spirit-inspired Paul would later affirm this by referring to Adam as “the first man” (1 Cor. 15:45), also doing so as if he were referring to a historical figure. Therefore, to call Adam and Eve mythological would be to imply that Jesus Christ, the Holy Spirit, and Paul were at best mistaken and at worst liars. And since the message of all three ultimately originated with God the Father (John 12:49-50; 16:12-15; 1 Cor. 2:9-13; 2 Pet. 1:19-21), to say that Adam and Eve were not real or were not the first human beings would be to call him either mistaken or untruthful as well. While one would expect this from an atheist, the Christian who would do so is either ignorant of the Scriptures or rebelliously blasphemous, and in either case has exposed a serious flaw in his faith. 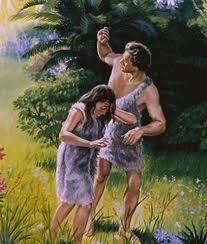 If man was created on the same day as land-dwelling animals as Genesis says, then man and dinosaurs co-existed. 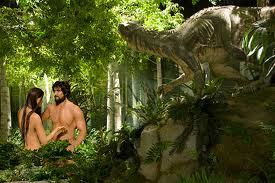 However, if man and dinosaurs were truly millennia apart then the Bible is false. If you believe God raised a Man from the dead, then why is it so hard to believe that God created the world in six literal days? You can’t confess Christ while denying his Word, but that’s what you do when you do not take Genesis for what it says. May we all choose to have faith which trusts in our God over men!